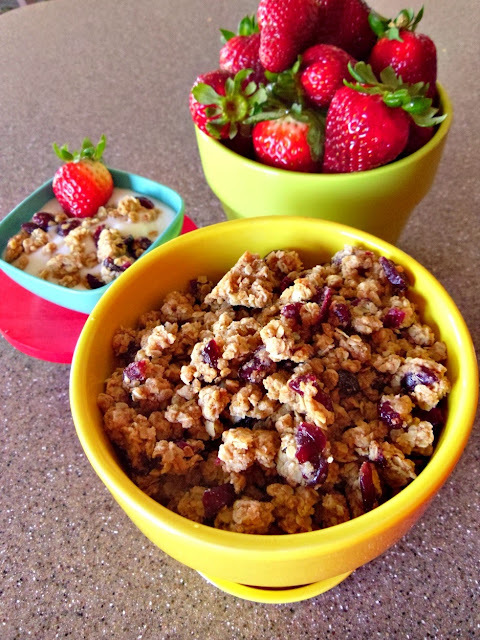 When I have a brunch to go to, one of the first things I think of to make is this granola. It's great on yogurt or just plain. 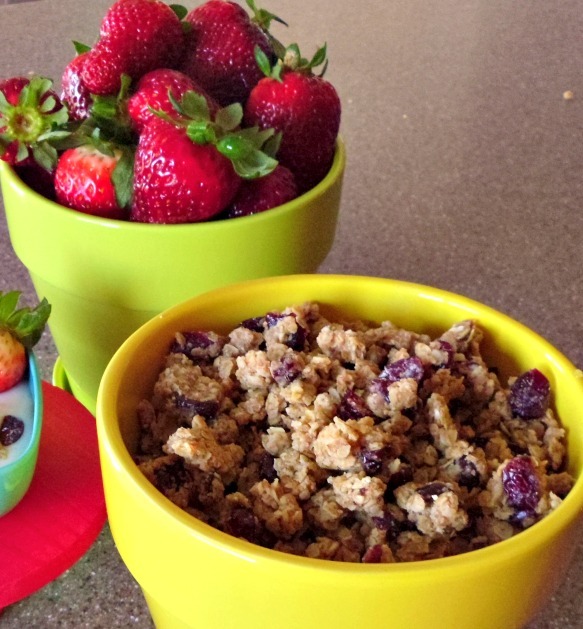 It makes a great snack too, and my kids love it. And since you only heat the oven up to 250, it's even an okay summer recipe since it doesn't turn your kitchen into a sauna. Pour contents over ingredients in large mixing bowl and stir to coat everything. Divide the granola between two cookie sheets and flatten out into thin layers. Bake at 250 degrees for 45 minutes, stirring every 15 minutes. I bake both sheets at once, and just alternate their place in the oven every time I stir. When you take it out of the oven, stir again and allow to cool. Store in an airtight container. This looks delicious. I think I'll try it and substitute the wheat flour. I can't wait to make it. I love homemade granola, I haven't made it in forever! I need to do that, thanks for the reminder!